Hackett, pictured, is one of the best at this tension between doing the future and making the present business go,” said IDEO founder David Kelley. 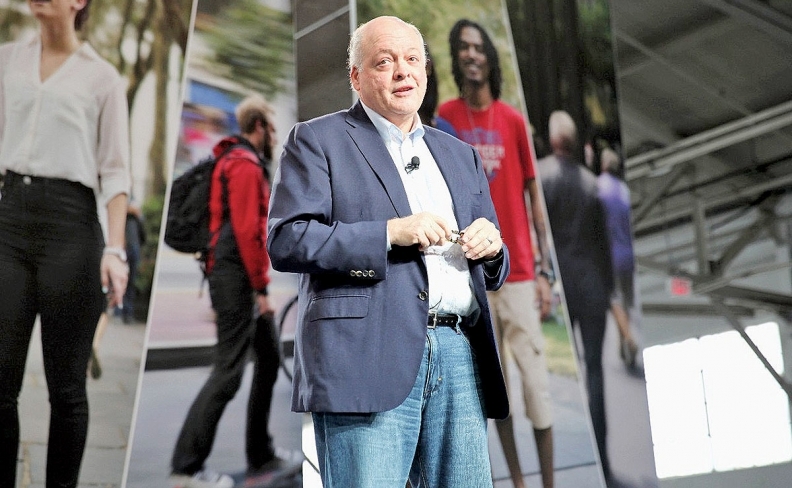 DETROIT -- Ford Motor CEO Jim Hackett likes solving big problems. He did just that at Steelcase, a century-old Michigan furniture maker that had struggled to keep up with the times, and then at the University of Michigan, where the storied football program he played for had faded. Now, at Ford, he may face his most daunting challenge: ensuring a 114-year-old manufacturer that has traditionally made its profits selling trucks can quickly pivot to an age of self-driving vehicles, shared ownership and new mobility services, all while trying to stave off new competition from the technology industry. 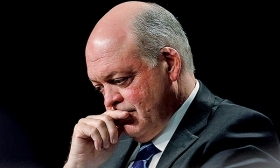 Since his May 22 appointment, Hackett has visited line workers at some of the company's assembly plants, taken multiple trips to Ford's Silicon Valley offices and traveled to meet with joint venture partners in Russia and Turkey. He has already made some big decisions, including reshuffling Ford's senior management team, moving Focus production for the U.S. from North America to China and exploring a strategic partnership in India with Mahindra to help share costs there. Hackett's faster decision-making could also spell the end of some lower-margin vehicles, in the United States such as the Fiesta subcompact car, Taurus large car and C-Max hybrid and plug-in hybrid hatchback. Automotive News and others have reported that those vehicles won't survive another product cycle in the U.S.